I must admit, I’m #blessed to be one of those people who look good a little sweaty. Because we were in ultra hot and humid Mexico during the taping of Bachelor in Paradise, my makeup inspiration was more JLo, less Kim K. *Gasp* During the daytime especially, I wanted a more natural “beach glowy” look. In those high temps, it was hard to wear makeup at peak sun hours. Some annoying people will say, “Then why did you?” Oh, I don’t know, maybe because I’m on a show watched by 5.5 million people and I have acne spotting. Back in episode one, Lauren was smoothing my foundation’s demarkation line and I dropped the term “beach glowy.” I certainly didn’t coin this term and it certainly doesn’t look like 💩 as Lauren suggests. It actually looks pretty 💣. 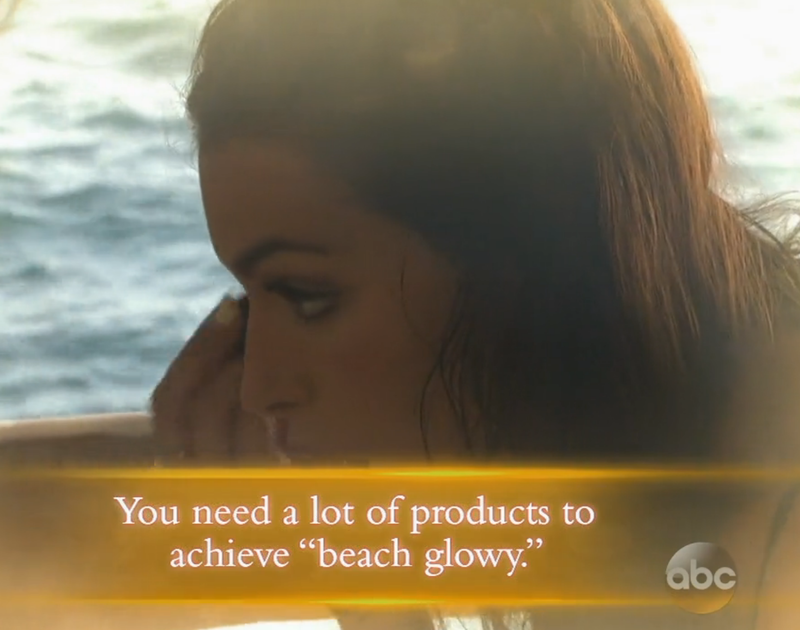 On After Paradise, they joked it takes a lot of product to achieve “beach glowy” and I must admit! It does! Sometimes a natural makeup look can take just as many products (or more!) to attain as a high glam look. However, you don’t have to search multiple places to find the items you need to accomplish “beach glowy.” One cosmetic line alone has it all: Becca Cosmetics. Just visiting their site and seeing the way their models are made up will convince you that Becca is your go-to summer makeup line. -I’ve already discussed my love for Becca’s cheekbone enhancing Shimmering Skin Perfector in Pressed Opal on this blog many times. See: HERE and HERE. People are losing their minds over the new Jaclyn Hill created shade “Champagne Pop” so you may wanna give that a whirl. I used the liquid variety when I wanted a dewy, milker look. It’s more subtle. –Bronzing Skin Perfector: At first I was afraid this would make me breakout. I don’t like experimenting with creams and liquids much because of this, but Perfector didn’t mess with my clear skin. They call it a primer, but you can put it under or over your foundation or alone. You can use it as an overall bronzer or as a face sculpting contour product. On top of that, it blurs imperfections beautifully requiring less foundation. I loved using this product doing the day when I wanted a softer contour. It looks like the sun gave you angles, not a Kardashian makeup artist. –Ultimate Coverage Concealing Creme: Relaxed “beach-glowy” and under eye circles do not go together. You’re supposed to look completely rested even if your sleeping in an outdoor cabana being eaten alive by bugs. This full coverage, yellow toned concealer does the trick without creasing! Honestly, I never wore under eye concealer until I found this one. I normally think they look creasy, cake-y, or dry under my eyes. My Maybelline foundation did a good enough job acting as concealer, but I love this stuff. Clare Crawley does too. She wanted to steal it from me. Didn’t you do enough stealing from me in Paradise, Clare? I KID!!! I KID!!! (If you take that seriously, I’ll cut you.) She bought her own when she got home from Paradise. 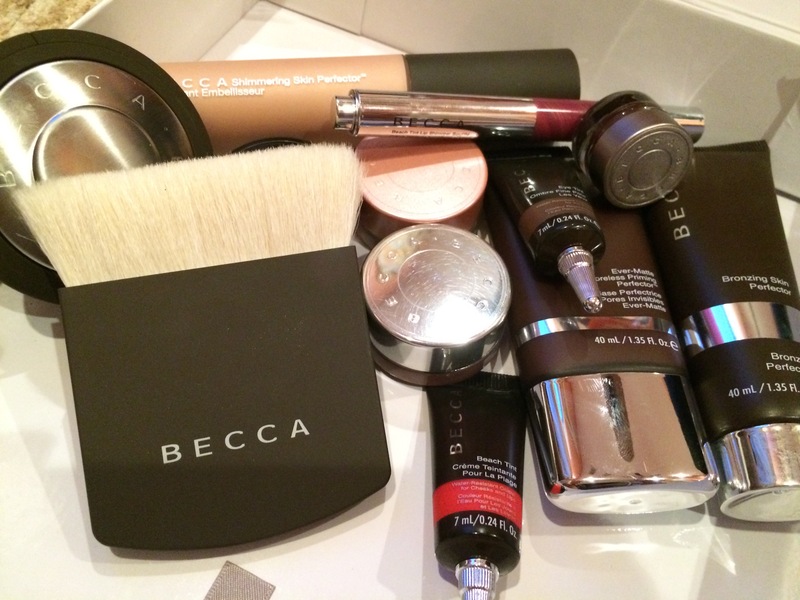 Other wonderful Becca Cosmetic products I used in Paradise include: Under Eye Brightening Corrector, Eye Tint in Golden Bronze, Creme Eyeliner in Matte Brown, and Lip Shimmer Souffle in Raspberry. I want everything from this post!! I have a serious problem with buying makeup, especially highlights lol they’re my favorite part of my routine. One quick question – what shade do you use in the concealing creme? Hi Sarah! Thank you for your kind words. I wouldn’t put cream on top of powder foundation, but other than that you can do all the mixing you want. I totally believe in oil cleansing! However, I’m currently obsessed with Rodan and Fields Soothe line. Anywayyyy, that being said, WHERE did you find the vanity mirror you used on BIP?! I’ve seriously been looking for one exactly like it for months so when I saw it I was like omg where. Tell me!!!! Ashley, what’s the lipstick color you’re wearing in the makeup look at the rose ceremony with the blue dress?? obsessed! 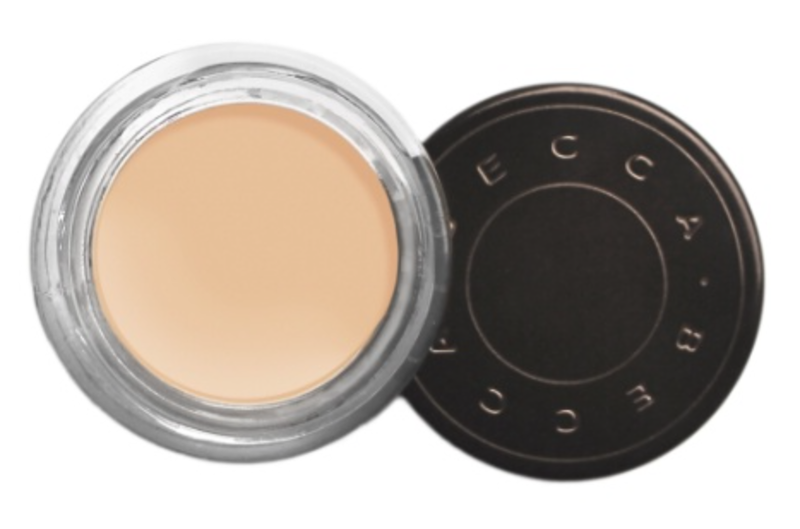 what color of the becca concealer do you use? I’m really interested in buying it but I have to blind buy it online and I think we may have similar skintones. Also have you tried the Kevyn Aucoin Sensual Skin Enhancer and if so how do you think it compares to that? I just started using Soothe. I love it!